San Diego attorney Antoinette Middleton, of the Law Offices of Antoinette Middleton, is offering complimentary legal consultations to veterans and surviving spouses on estate planning matters. Our Veterans have risked their health and lives to protect our country. We wanted to offer a small token of appreciation by helping them to protect their personal assets and family legacy through proper estate planning. 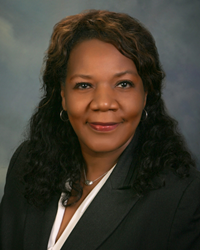 In honor of Veterans Day, estate planning attorney Antoinette Middleton, founder of the Law Offices of Antoinette Middleton, is offering complimentary one-hour legal consultations to San Diego area veterans and surviving spouses who attend one of her estate planning workshops between November 1 to December 15, 2017. “Our Veterans have risked their health and lives to protect our country. We wanted to offer a small token of appreciation by helping them to protect their personal assets and family legacy through proper estate planning,” said Middleton, a member of the American Academy of Estate Planning Attorneys, a premier national organization promoting excellence in estate planning by providing its exclusive membership of attorneys with up-to-date research, educational materials, and other vital practice management techniques. To be eligible for the complimentary personal consultation, the veteran or surviving spouse must attend an estate planning workshop, and schedule an appointment for the personal consultation to be complete within thirty days of the workshop. In addition, a discount of 15 percent is available to all veterans or surviving spouses who sign up to move forward in creating an estate plan with the Law Offices of Antoinette Middleton, following the personal consultation. The following free estate planning workshops entitled “Who Will Inherit Your Home and Other Assets After You Die?” are scheduled for Wednesday, November 15, from 6-8 p.m. at the Law Offices of Antoinette Middleton, located at Executive Center, 1761 Hotel Circle S, Suite 115, San Diego, CA 92108; Saturday, November 18, from 10 a.m. to noon at the same office location; and Saturday, December 2, from 10 a.m. to noon at the Jacob Center, located at 404 Euclid Avenue (Community Room), San Diego, CA 92114. Topics covered will include wills, trusts, probate avoidance, VA aid and attendance, Medi-Cal estate recovery and more. Please call 619-235-9501 to register. Seating is limited. Everyone is welcome to attend. Married couples must jointly attend the free consultation.